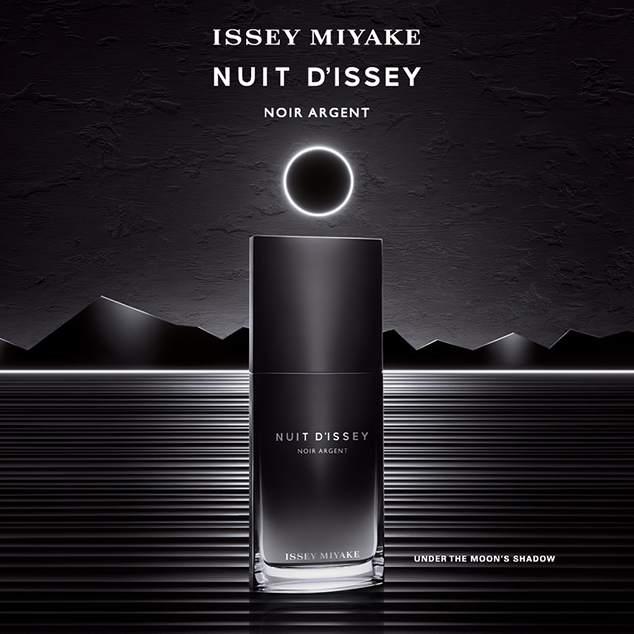 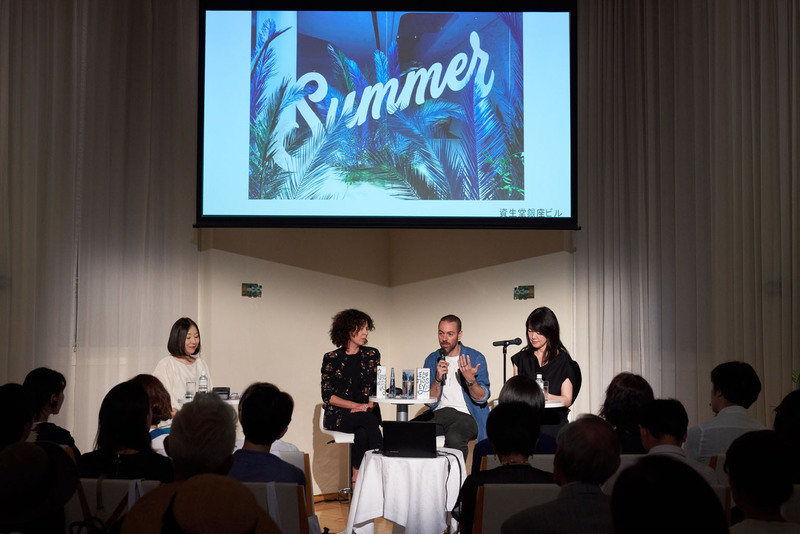 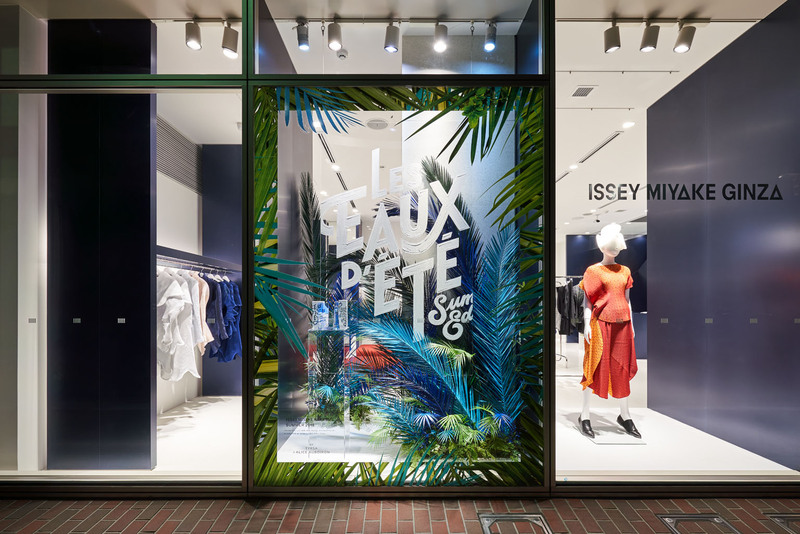 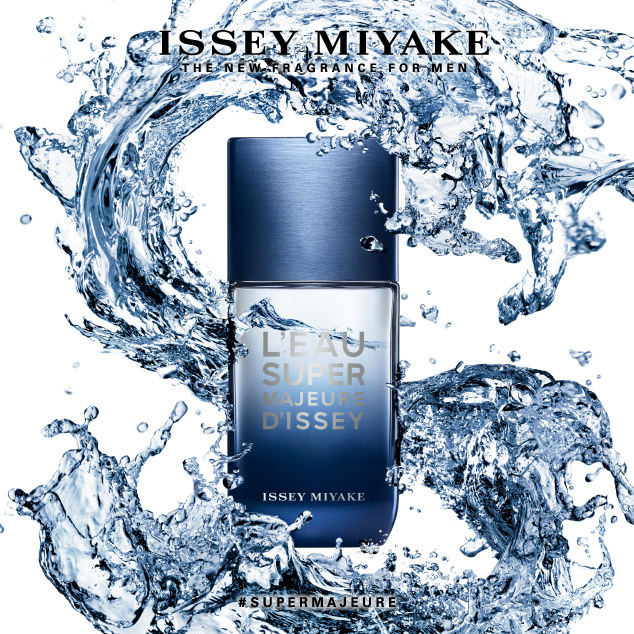 Special display and artist talkabout summer fragrance | ISSEY MIYAKE PARFUMS | News | ISSEY MIYAKE INC.
TYRSA and Alice Auboiron, the two French creators who worked on the visual design for 2018's summer fragrance, visited Japan to celebrate the launch. 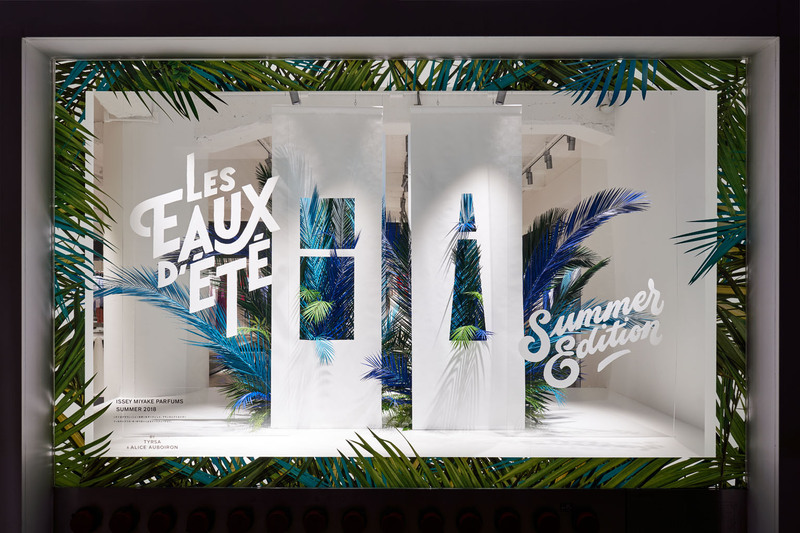 The two creators jointly came up with the concept of “a window open to nature” for the displays in Ginza and Aoyama, which will take you on a journey through the world of our summer fragrance. 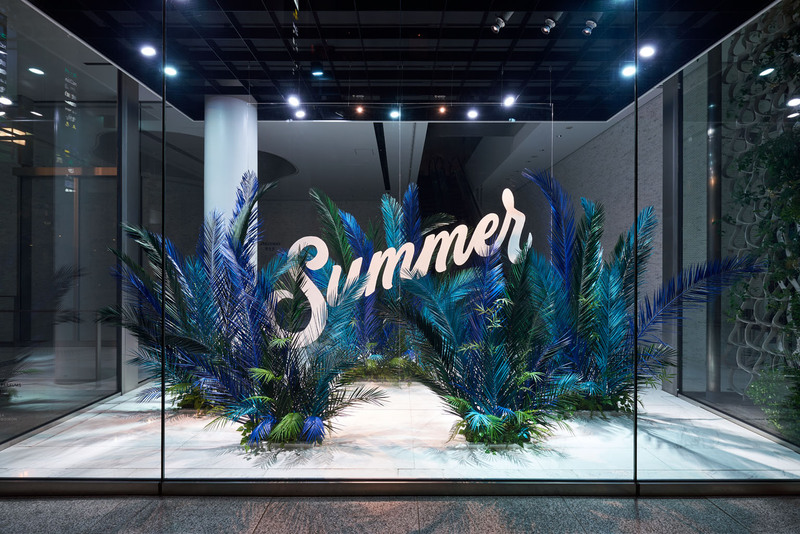 The text seems to float above abundant nature.